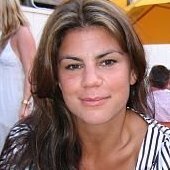 COLLEEN FRANCIOLI – Founder of BonCalme & FODMAP Life, Certified Nutritionist Consultant, Digital Health & Wellness Marketing Professional – Over the years I’ve elevated health and wellness brands to new heights through digital marketing and PR. 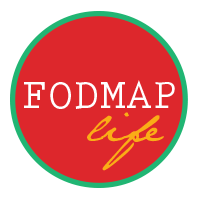 In 2013 after I was completely fed up with my own IBS issues, I conducted much research and started a personal passion project, FODMAP Life. A cholecystectomy in 2005 and an IBS diagnosis in 2010 have meant a few years of discomfort and pain. Once the low-FODMAP diet changed my world, I wanted to help other people like myself, to feel better and achieve optimal health using food as medicine and stress relief. Changing careers to work in nutrition was on my radar so FODMAP Life turned into my becoming a Certified Nutritionist Consultant and the launch of the parent company to FODMAP Life, BonCalme (stands for “good calm”). Aside from having digestive trouble, I have also had an appendectomy (1999), a double back surgery in May 2013 and have had a thyroid condition since 2010 and was diagnosed in March 2014 with Hashimoto’s disease. So I have not had the best time with my health, however I am very grateful for the health I do have. My family has been an incredible support during the tough times. As a Certified Nutritionist Consultant I love making a difference in people’s lives. I provide consulting for the low-FODMAP diet, digestive disorders, food allergies, auto-immune conditions, weight loss, meal planning/grocery shopping and personal wellness. My holistic approach focuses on the whole body – the psychological, physical and social self. Contact me today for a consultation. JEREMIAS FRANCIOLI – Co-founder of BonCalme, MBA, CIMA – Jeremias or Jeremy as he likes to be called is the loving husband to Colleen. Full-time as VP of sales at CNL Securities he’s all things numbers, investing and customer relationships. When not working for CNL he uses his business and financial savvy to collaborate with Colleen on BonCalme. He is very supportive of Colleen’s goals to help others and also enjoys learning about nutrition and health (and doesn’t realize that Colleen has swapped his Wheat Thins for a more healthier version!). Jeremy will soon be a proud dad to their son due June 1st and Colleen definitely notices he’s “nesting” too, helping to get the house and nursery ready! It’s a boy but Jeremy is not spilling the beans on the name just yet. Jeremy was born in Brazil and has lived in the U.S. since the age of 16. He enjoys surfing, watching F1 racing with Colleen, making people laugh and spending time with family and friends. BonCalme and FODMAP Life is dedicated to my Mother’s loving, supportive, intelligent, happy and sweet soul. Rita was a Director of Nursing and helped thousands of patients and employees over the years, not excluding my family. If a family member was sick, close to death or in some sort of trouble, she was always there for them. She exercised, loved yoga and through the years imparted the best in eating habits for my Brother and I. I owe my LOVE for vegetables and fruit to her. My beautiful Mother died on July 25, 2014 at age 66. My goal is to keep up the momentum of her legacy and help others. Should you have a health issue that needs immediate attention, please consult with your doctor. When looking to get a proper diagnosis for any digestive disorder or auto-immune condition consider getting as many opinions as possible. LEGAL DISCLAIMER: The information presented on this web site is not intended to take the place of your personal physician’s advice and is not intended to diagnose, treat, cure or prevent any disease. Discuss this information with your own physician or healthcare provider to determine what is right for you. All information is intended for your general knowledge only and is not a substitute for medical advice or treatment for specific medical conditions. I can not and do not give medical advice and I do not recommend the self-management of health problems. Should you have any health care-related questions, call or see your physician or other health care provider promptly. You should never disregard medical advice or delay in seeking it because of something you have read here.